WHAT? Combine learning, fun and adventure. 5-day program will include a range of activities, with five/six separate activities each day. These will provide a safe and supportive environment for pupils to explore creative ideas and improve their physical health. Suitable for all. Supervision by experienced APEEEL1 monitors. 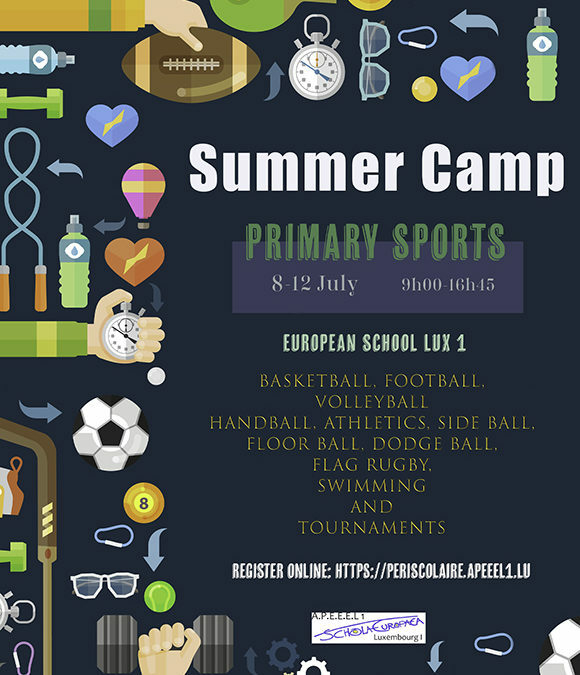 Activities will include: basketball, football, handball, athletics, side ball, volleyball, floor ball, dodge ball, flag rugby, swimming and tournaments. Meeting point for pupils: in front of Secondary building at the European school I in Kirchberg at 8h45. WHERE? Activities will take place at the European School – Kirchberg. Participants must be dropped off and picked up by their parents each day. CONDITIONS? See guidelines on website.